This holiday season, instead of spending money on coffee mugs, popcorn tins, and gift cards, give a gift that everyone can use to live a healthy lifestyle! There are over 20 doTERRA items that are under $20. Place your order with us before Dec 15 and get $5 shipping!!!! Start Your doTERRA Journey Today! Take advantage of these amazing Christmas deals during the whole month of December. 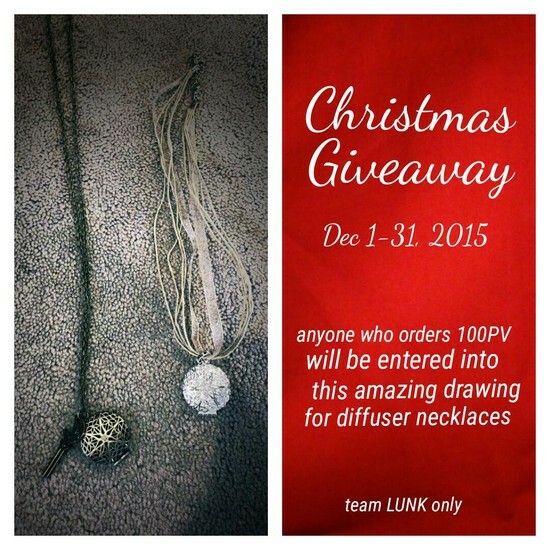 Any orders that have a product value of 200 or more will include a FREE bottle of Frankincense ($90.33 value). Start your doTERRA journey this month with the Natural Solutions kit! 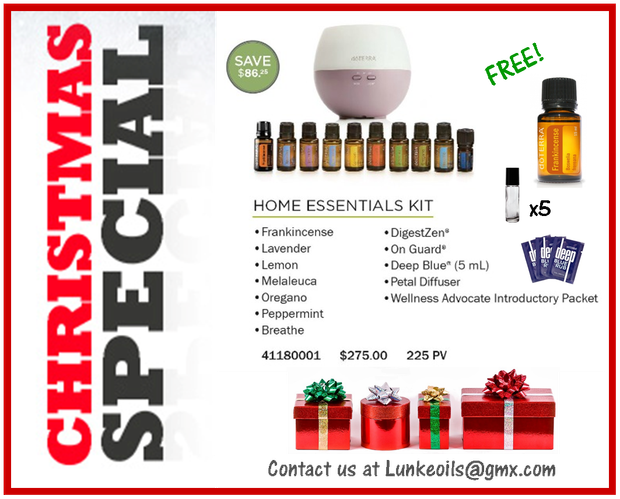 You will save around $113.25 below wholesale, Get 100 FREE product points, a FREE 15ml bottle of Frankincense ($90.33 value), 5 roller bottles, deep blue rub packets, doTERRA keychain, doTERRA deodorant & a personal consult! That is a $332.58 savings! Plus, it includes your membership that saves you 25% below wholesale price & gives you the option to get up to 30% back in FREE products. Put your armor on and get your family supported with natural solutions! 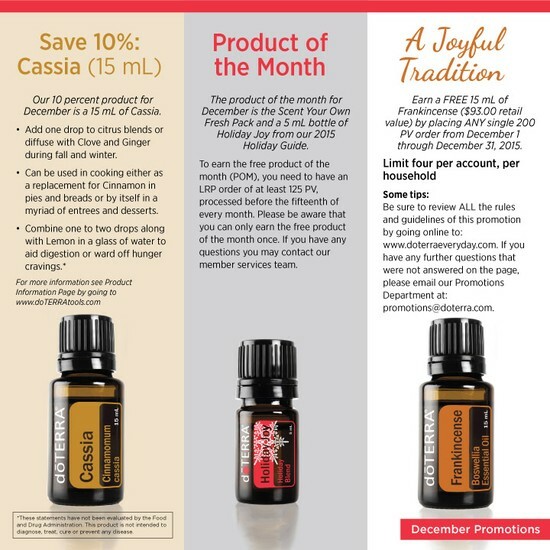 Put 11 essential oils and diffuser into your natural health tool kit before the beginning of 2016! This was the kit our family started with. We enjoyed saving over $80! This holiday season you can also enjoy a FREE 15ml Frankincense, 5 roller bottles & deep blue rub packets! 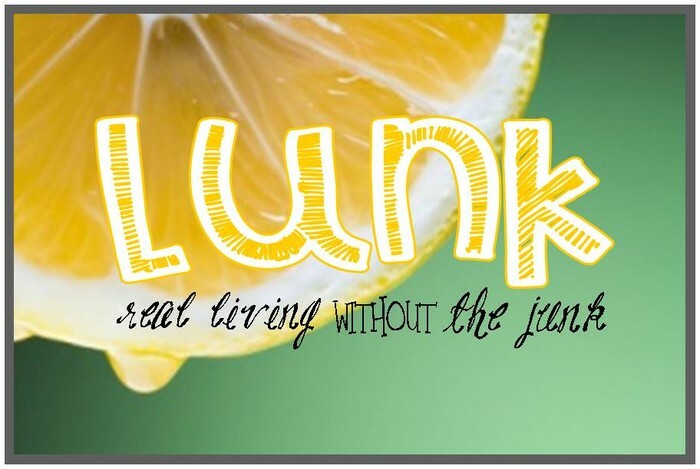 That is over $100 in additional savings, including your FREE wholesale membership! WOWSERS! This is a very powerful kit. You will enjoy the benefits of doTERRA's Daily Nutrient Pack, Mito2Max and Deep Blue Polyphenols! WOW! Save nearly $80 with this kit normally. Now you can save over $15 with these bonuses! That is nearly a $100 savings. You also get your membership fee waived and of course can participate in up to 30% in FREE product! Up your order a little with some stocking stuffers and you can save an additional $90.33 by getting a FREE 15ml Frankincense! 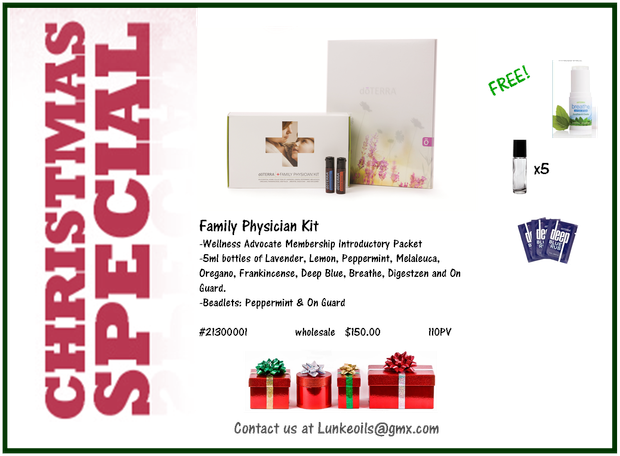 Arm your family with this Family Physician kit this holiday season! 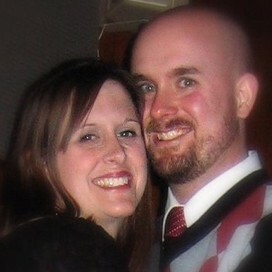 Not only will your family avoid paying the $35 membership fee, but you will enjoy over $15 in free products (including the Breathe Vapor Stick, 5 roller bottles & deep blue rub packets) and have the opportunity to join over a million wellness advocates in earning up to 30% back in FREE products every month. 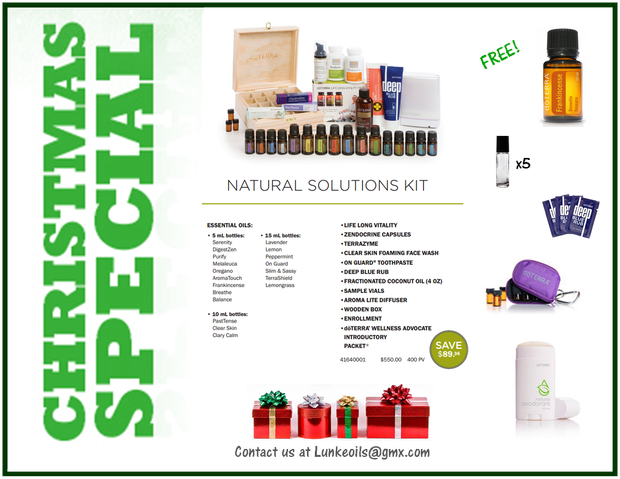 Add some stocking stuffers and you could enjoy a FREE 15ml bottle of Frankincense, the KING OF ESSENTIAL OILS!